• Jason Kidd's first signature shoe is considered one of the best-performing Nike basketball sneakers for its comfort level, stability, and traction. The Nike Air Zoom Flight V also possessed some distinctive design cues, including the iridescent “bug eye” on the midsole. 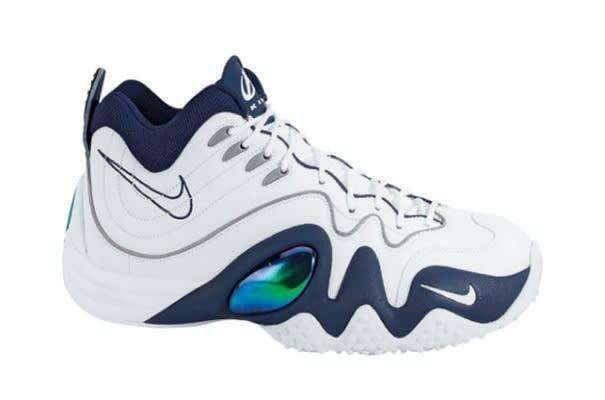 Five years ago, this shoe appeared on NikeiD, but it no longer bore the “Kidd” logo, because of his current affiliation with PEAK.